I am standing and sleeping very well, indeed! At the moment, I'm napping. I sleep very often like this at night as well. It's easier for us to go away if enemy comes, maybe...it's our instinct since there's no enemy here. I sleep sometimes by one legged standing. We've got strong legs, as you know. And if I use only one leg, the other can have a rest. We have only four fingers, but they are very long! Of course I sleep in a normal style sitting like this. But you see, my legs are always kept bent. 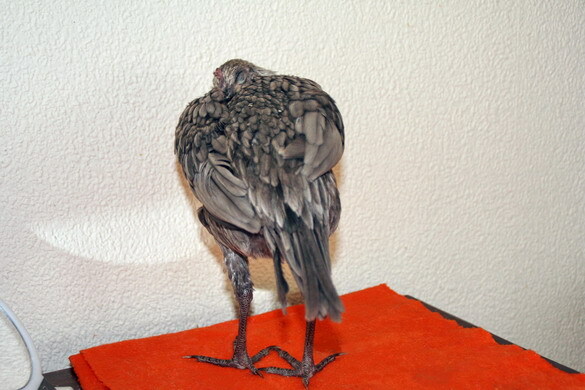 And I sleep usually with my beak put and kept warm in the feathers. 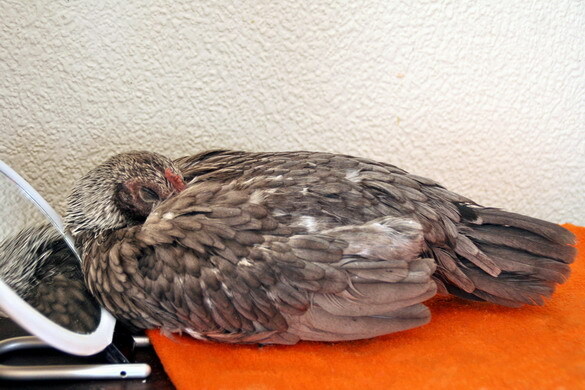 Chikens don't sleep like dogs or cats throwing their legs out. Legs are kept bent under their body and burdened by its weight while sleeping. That's why it can be easily imagined that they are able to sleep while standing. 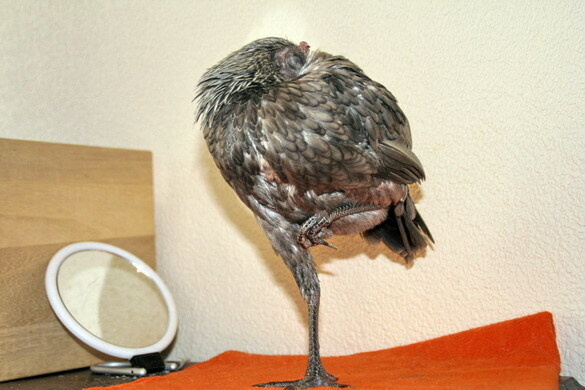 And they often stand and sleep with only one leg taking a good balance.